affordable weekly & monthly rates! Rooms available with full size refrigerator and microwave. Laundrymat, outdoor pool, pet friendly & free wi-fi, HBO and long distance. Bus line across the street. 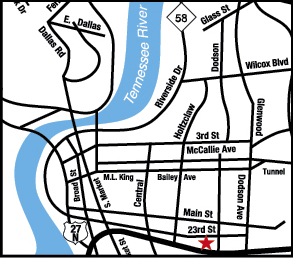 Located off I-24, take exit 181 for 4th Avenue, turn right onto 4th avenue, take the first left onto East 23rd Street, destination will be on the left.